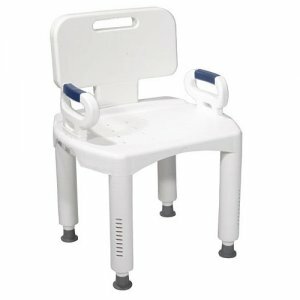 Bath and Shower Safe Seat / Chair with Back and Arms - Premium Series . 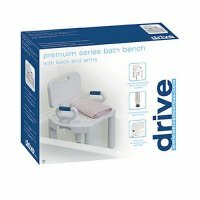 The new Drive Medical Premium Series Bath Bench with Back and Arms is designed for individuals who require additional safety measures with balance in the bath or shower. The seat fits all shapes and sizes and the lightweight design has large stable legs with soft non-slip feet, ensuring user safety. 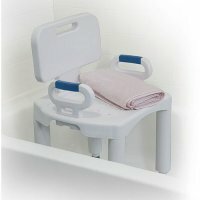 This bath bench has tool free height adjustment and tool free back, leg and arm removal as well. 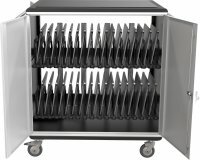 Outisde Leg Width: 17"; Outside Leg Depth: 14"; Seat Dimension: 21.25"D x 21"W x 16"-20.5"H; Product Weight: 9 lbs. ; Weight Limit: 350 lbs.